Life is an opportunity to love and be loved. That’s what makes living so special! Yesterday I was at an Awards function. One of the awardees was the newly-elected President of the Indian Olympic Association (IOA) N.Ramachandran. He was feted with the Lifetime Achievement Award for his contribution to Indian sports (other than cricket) including introducing Triathlon events in India, building Squash as a sport in India and helping India regain its official status at the Olympics. 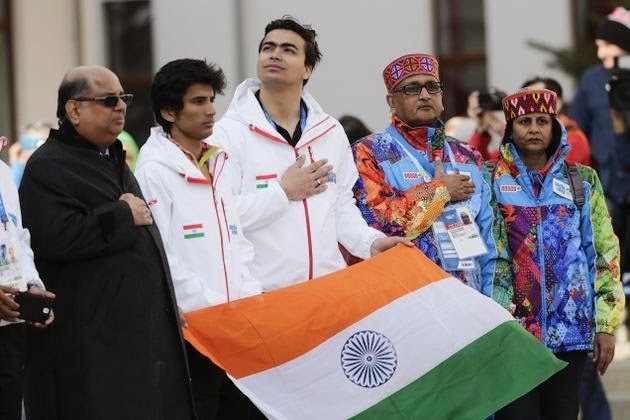 Ramachandran’s election as IOA’s President led to the Indian Tricolor being unfurled at the closing ceremony of the Sochi Olympics. But it was not Ramachandran, the sports administrator that I admired last evening. It was Ramchandran the man, the father who touched my heart. In his acceptance speech, Ramachandran thanked his family, his wife, his son and his daughter, without whose support, he said, he would not have been able to do all that he did. He said his son and daughter-in-law were not able to make it to the event. Then he called out to his daughter. “Bubbles, are you there,” he asked. “Ya….,” came the reply. We all turned in the direction from where the reply had come from. And there she was – a young lady, specially-abled, cheering lustily for her dad. She was truly overjoyed that her father was given the award and equally delighted that she had been called out by him in his speech. It was a poignant moment. An achiever, a busy industrialist, pauses to thank his family and then celebrates the presence of his special child in the audience and thanks her for her support in his Life. I have not known too many people to be able to do that – which is to include members in their family who are special in the mainstream of their social Life. That moment was a lesson in humility, love and living. We all get so obsessed with the rush of our daily lives that we sometimes don’t consider the contributions of so many people that make each day count for us. As we grow in our careers and, often times, encounter success and fame, we may get carried away that it’s all been caused a lot by our own intentions and efforts. But if we care to pause and reflect, there would be so much support that has come to us from those who have backed us silently – sometimes with just their presence. That presence is love. And recognizing and celebrating that presence is what Life is all about!